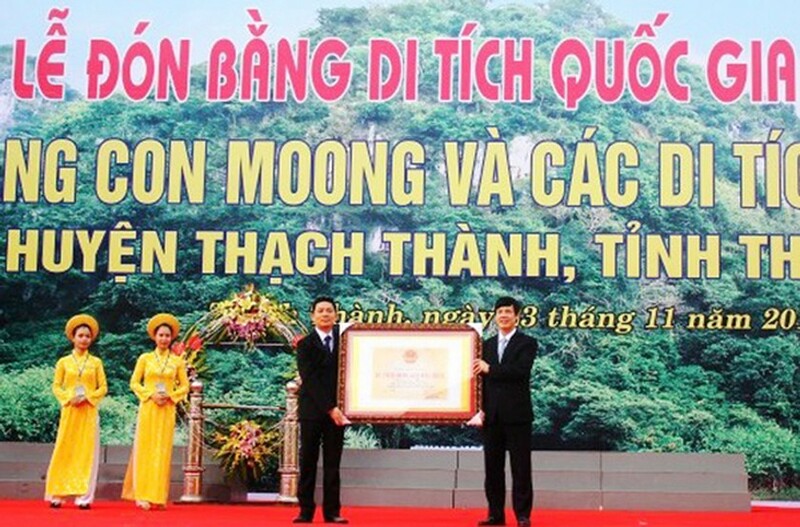 Con Moong cave and surrounding relics in District Thach Thanh in the northern province of Thanh Hoa become National Relics with a certificate indicating the title handed over to the provincial Department of Culture, Sports and Tourism at a ceremony yesterday. Con Moong in Mo village was discovered in 1975 after an archeological investigation. From 1976 to 2014, through many excavations, archeologists verified that the case was inhabited by people of the prehistoric time 60,000 years ago. Archeologists verified the case if the inhabitation of ancient Vietnamese people representing Son Vi, Hoa Binh and Bac Son culture which are typical for Vietnam in particular and Southeast Asia in general. Moreover, scientist found out proof that before the coming of farming, people gained their food by foraging for nuts, berries and insects, hunting wild game, large and small, and fishing. The development is cultural achievement of mankind. 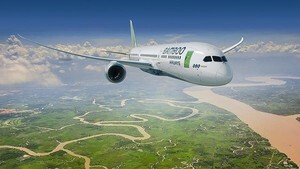 Accordingly the case plays an important role for research of prehistoric time in Thanh Hoa province but for the country. The cave and its surrounding relics were ranked as the national relics as per the Prime Minister’s decision issued on December 23, 2015. On the occasion, in the District Thach Thanh’s cultural and sport center, an exhibition was opened themed “ Con Moong Cave and surrounding relics- Heritages” displayed 500 documents and items collected through excavations to introduce special value of the cave to visitors.